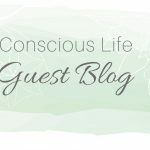 Home / Guest blog / What is Medical Intuition? As a nurse for over 15 years, I was well aware that there was more to health than the physical body and Western medicine often lacked the holistic approach to wellbeing. Unfortunately, Western medicine often only alleviates immediate pain and the true cause of the illness or disease often returns at a later date. However, the good news is that the holistic approach of Medical intuition often allows the ‘client or patient’ to feel empowered and to receive optimum health on all levels. Medical Intuition is the art of making whole and complete on all levels including mentally, physically, emotionally, spiritually and chemically. It works by focusing and ‘tuning in’ to a person as a whole, in order to discover their ‘story’ which may have caused the disease in the body. The disease itself is simply a warning sign that life is not going according to plan and medical intuition understands what the body is saying. The human body is a blueprint for your most dominant thoughts or a ‘print out’ of your most dominant vibration. It shows the unconscious secrets in the body and will highlight this to you through pain, disease, mental anguish, emotional unrest or discomfort. Each body part has two main functions – physical and metaphysical but as a nurse, I was taught only to focus on the physical aspect of health. In most cases, medication was used with the intention of alleviating immediate pain and distress. For example, If you had a cold you were told to rest, increase your vitamin C and maybe given antibiotics to kill the virus and possible analgesic for pain relief. Tests may also show that the spleen, which is part of immune system, would highlight an increase in white cell count. However, what wasn’t observed was the metaphysical aspects of the spleen which is concerned with ‘worry, thinking, anxiety, immunity to what is said/done’. Steven was a client of mine who wanted to pursue his career in golf. He excelled in this sport and was keen to enter professional competitions. However, Steven and his wife were expecting a baby. As a result, he felt selfish if he left his wife to play in golf tournaments and feared the lack of stability this career may bring. As Steven was pondering these concepts he fell and broke his ankle. He did not realise it but his ankle was expressing exactly how he felt about taking the next step of change and lack of stability. The metaphysical meaning for the ankle is selfish, next step, change, stability and decisions. 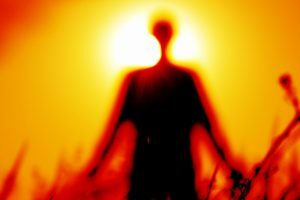 As a result, Steven’s body was talking to him and expressing the unconscious secrets he had. The good news is that while Stevens ankle was in a cast he was able to reflect on what he really wanted to do, which included openly communicating with his wife about his golfing career. Two months later Steven made a confident decision that his next step forward to be a dad and to play golf as leisure rather than a career. Casey was 15-year-old girl who had continual headaches. She was unable to focus, and her parents tried everything to help her. They had been to see neurologists, psychologists and tried all sorts of medication. The headaches only occurred for Casey on weekday mornings. Her cranial bones were holding on to something. She felt the need to be alone and protect herself. The metaphysical meaning of the cranial bones is about ‘holding on to and protection’. What Casey’s parents did not know was that Casey felt she didn’t fit in at school as she was a sensitive child who preferred to be at home, reading in solitude. Her headaches were actually ‘allowing’ her to stay at home and keep herself protected. Once her parents were made aware of this situation they assisted her with home schooling in which she thrived, and her headaches suddenly disappeared. 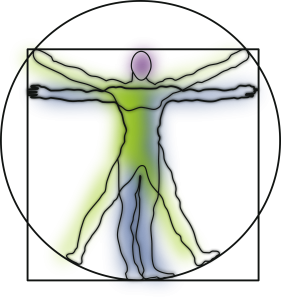 Medical intuition is understanding why things, experiences, situations, diseases and discomfort occur in our body and assists in returning the body to its optimum healthy place. So next time your body talks, listen to what it is saying. I thought I would share some information and explain a little more about what Medical Intuition is, and what I have been able to do and see from birth. As I see it, the human body is a blueprint for your most dominant thoughts. It is a print out of the internal vibration. It shows the unconscious secrets. You are the author. Your biography becomes your biology. You write your story. What is your story? What is your body saying? The human body will show you where your spirited self is aligned or not aligned with the absolute totality of peace, joy and purpose. Therefore, when I teach your BIOGRAPHY becomes your biology it means ‘a set of points and numbers that are positioned to create a diagram or image with specific function. Once these patterns and image have set and mapped the human part of us follows the instructions to become this image and make life of this image. This is known as a career and purpose.’ This relates to not only disease but everything in our life and connected innately to our living as spirit. How fabulous are we that through living we can see exactly where we are up to and what is happening by instant manifestation? We are plotting and designing our life to see our best self and our potential. This can come in many forms such as dis-ease, relationships, money, children’s behaviour problems or even just watching TV. The core understanding is that we are souls having a hu-man experience and that we all have an opportunity to tap into or access our potentiality. Our innate spirit knows we are already perfect, and our human journey is to remember that in many and varied ways. There is not good or bad only images and perception. The healing part is to make whole and complete and when we see our self we remember we are already whole and complete and there is nothing to fix or change as we are divine spirit. So why not from this moment, plan, imagine and design the life you want. Ask yourself have you already got what you want? Ask your self is your spirit living or existing? With a background in nursing, pathology, and autopsy knowledge, Jean Sheehan is an award winning and internationally recognised Medical intuitive. 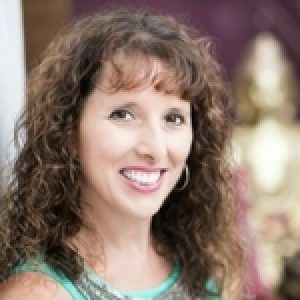 A 3-time bestselling on Author on Amazon, she is continually requested to speak about Medical Intuition. Her unique systems for adults and children have been taught in Universities in Australia and on a global basis. Jean has also been featured in numerous radio, TV and magazine articles and on cruise ships. To find out about Jean and her work, please see Jean’s website Millenium Education.